Update 10/30/2015: Abraham no longer works at the D2 Center. Good luck with your endeavors, Abraham! 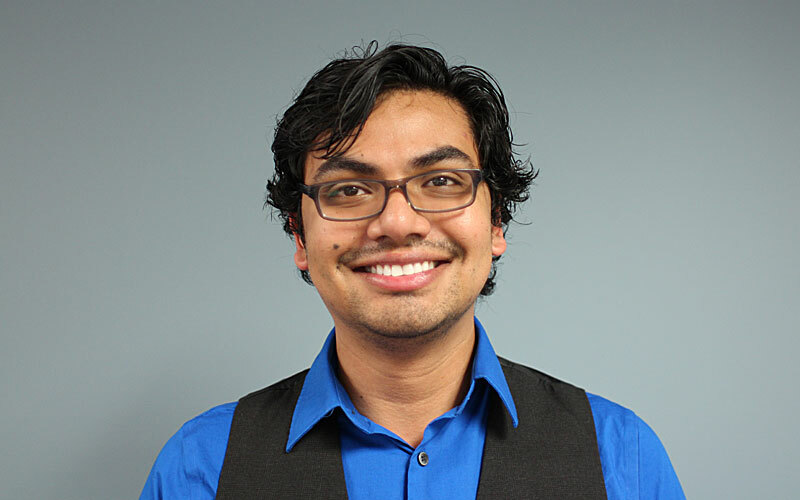 Here’s a Q & A with D2 Center staff member Abraham Gómez Meza. Abraham joined us in March as a Youth Academic Navigator (YAN). You can meet the rest of our staff in the archives. I am a Youth Academic Navigator. I have been working at the D2 Center since March 17, 2014. I graduated from Bellevue University with a Major in Communication Arts and a Minor in Sociology. I started working for Omaha Public Schools at the Boys & Girls Club as a tutor for the Amigos Program for three years, Boys & Girls Club for four years, Boy Scouts for 2 years, R.M Marrs Magnet School Paraprofessional for three years and Positive Action Center for three years, Lutheran Family Services for one year and a half as a Learning Community Family Liaison. The reason I was interested in working at the D2 Center was because I wanted to assist the youth that are left behind due to their poor grades, poor attendance and poor attitude towards school, by giving them another chance, giving motivation, providing support to continue and not to give up on their academics. My favorite thing about working at the D2 Center is that I enjoy doing what I do, knowing that I make a difference in a youth’s life. I love to read the bible and listen to music, and I enjoy hanging out with friends.